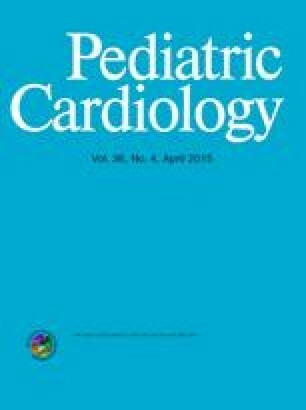 We hypothesized that pediatric patients with type 1 diabetes have cardiac magnetic resonance (CMR) detectable differences in thoracic aortic wall properties and hemodynamics leading to significant local differences in indices of wall shear stress, when compared with age-matched control subjects without diabetes. Pediatric patients with type 1 diabetes were recruited from Children’s Hospital of Wisconsin and compared with controls. All underwent morning CMR scanning, 4-limb blood pressure, brachial artery reactivity testing, and venipuncture. Patient-specific computational fluid dynamics modeling with fluid–structure interaction, based on CMR data, determined regional time-averaged wall shear stress (TAWSS) and oscillatory shear index (OSI). Twenty type 1 diabetic subjects, median age 15.8 years (11.6–18.4) and 8 controls 15.4 years (10.3–18.2) were similar except for higher glucose, hemoglobin A1c, and triglycerides for type 1 diabetic subjects. Lower flow-mediated dilation was seen for those with type 1 diabetes (6.5) versus controls (7.8), p = 0.036. For type 1 diabetic subjects, the aorta had more regions with high TAWSS when compared to controls. OSI maps appeared similar. Flow-mediated dilation positively correlated with age at diabetes diagnosis (r = 0.468, p = 0.038) and hemoglobin A1c (r = 0.472, p = 0.036), but did not correlate with aortic distensibility, TAWSS, or OSI. TAWSS did not correlate with any clinical parameter for either group. CMR shows regional differences in aortic wall properties for young diabetic patients. Some local differences in wall shear stress indices were also observed, but a longitudinal study is now warranted. The authors would like to acknowledge Stacy Leibham (Children’s Hospital of Wisconsin) for her assistance with CMR scanning, David J. Quam, MS (Marquette University) for writing scripts for CFD quantification, and Mara Koffarnus, MA (Medical College of Wisconsin) for help in preparing this manuscript for submission. This research was supported by a Children’s Research Institute Pilot Innovative Research grant. This study has been approved by the Children’s Hospital of Wisconsin Institutional Review Board and performed in accordance with the ethical standards laid down in the 1964 Declaration of Helsinki and its later amendments. All study subjects and/or their parents, gave their informed consent prior to their inclusion in the study. If the child was between the ages of 14 and 17, assent was also obtained.